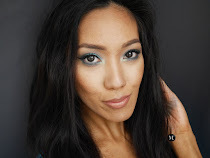 MEET MARIEE: Could this be a possible dupe? High end products are great to have, but you always don't have the means to repurchase your favorites every now and then. Thanks to drugstore/high street products that have been upping their game recently! Finding a dupe (cheaper alternative that performs the same as your high end favorite product) is such a joyful achievement! You are not only saving your bucks, you are also getting your money's worth. As we all know, NARS Radiant Creamy Concealer in 'custard' has been on the spotlight for forever! It is on the top picks of every youtuber/blogger I follow online. This product has a very creamy yet lightweight texture, which brings hydration to the skin especially the under eye area. It is infused with skincare benefits and light diffusing technology that blurs out imperfections, fine lines, and signs of fatigue. Technically, it claims to be a full coverage concealer which I hands down agree! 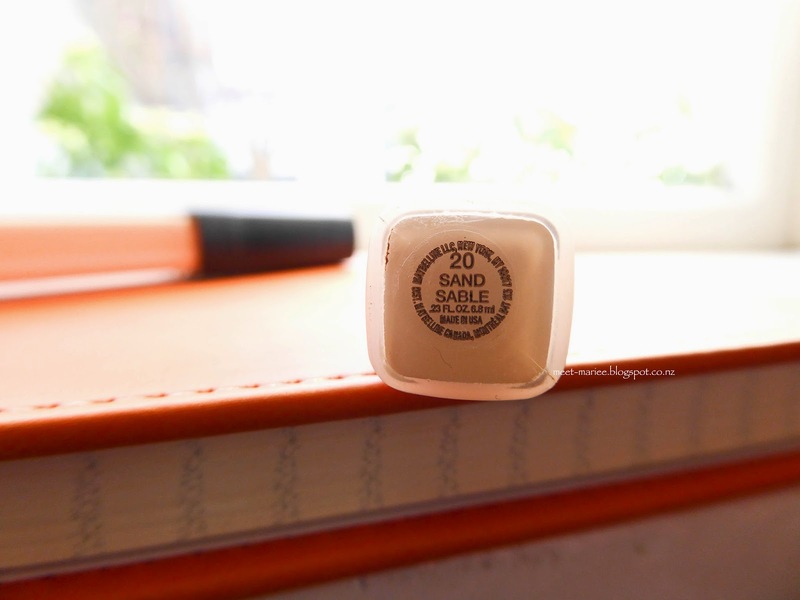 The product's consistency is thick but once blended into the skin, it melts like a dream and brightens any dark spots, dark under eye circles you have. How I use this product? Whenever I'm in a rush or I feel lazy, I use this concealer as an overall base. Apply to areas that needs coverage, blend it out and set with a powder foundation. Then you're good to go! 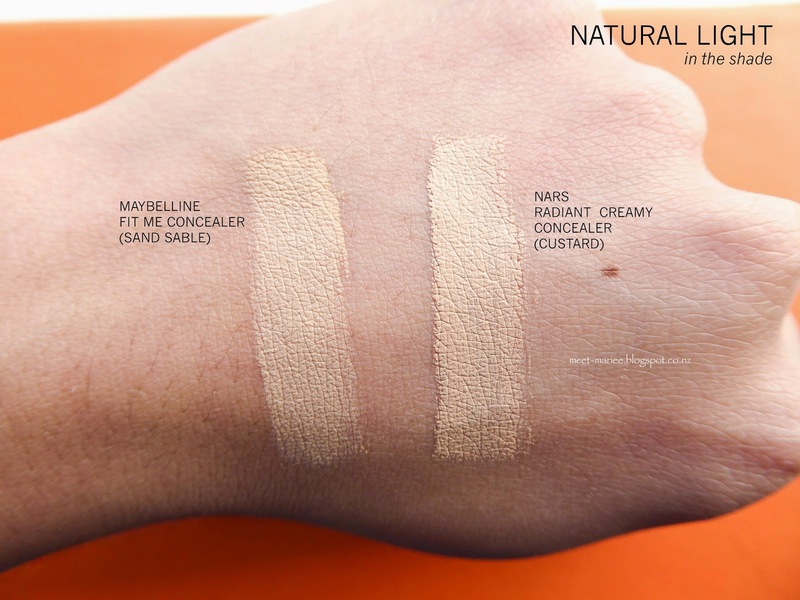 The dupe/more affordable option that I found is the Maybelline Fit Me Concealer in 'sand sable', which primarily does the exact thing as the NARS Radiant Creamy Concealer. The only difference is the consistency of the product. 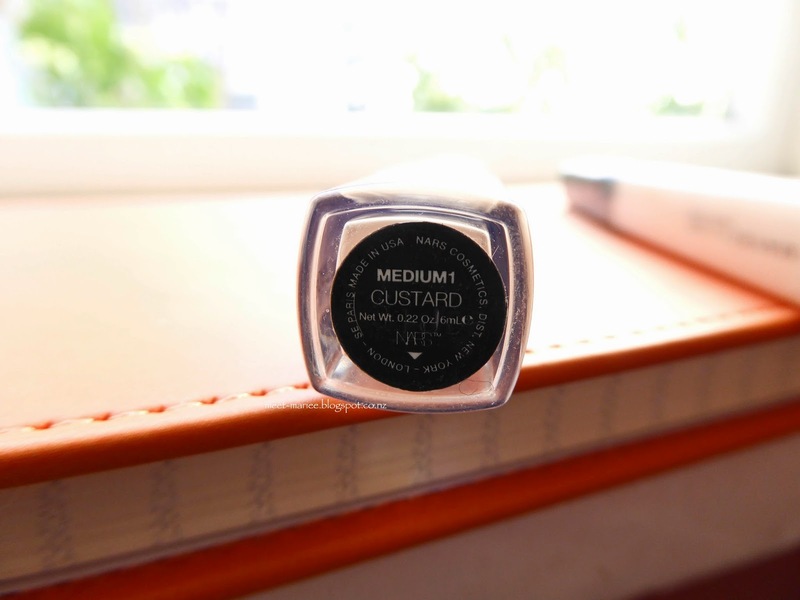 The Fit Me concealer is a lot thinner in texture, and a bit watery. The strange thing is, it comes off creamy and blends nicely into the skin. 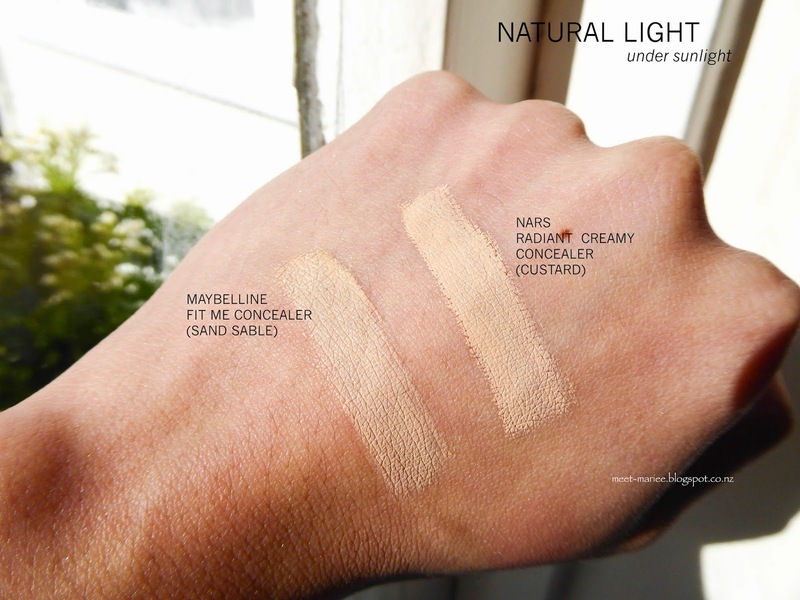 It is not as full coverage as the NARS Radiant Creamy Concealer, but it gives a descent amount of coverage, and is great for highlighting certain areas of the face as well. The best thing about this concealer is that it is a fraction of the price of the NARS concealer! Another dupe to look out for is the Collection Lasting Perfection Concealer in 'medium 3' which is a lot affordable than the Maybelline Fit Me Concealer. 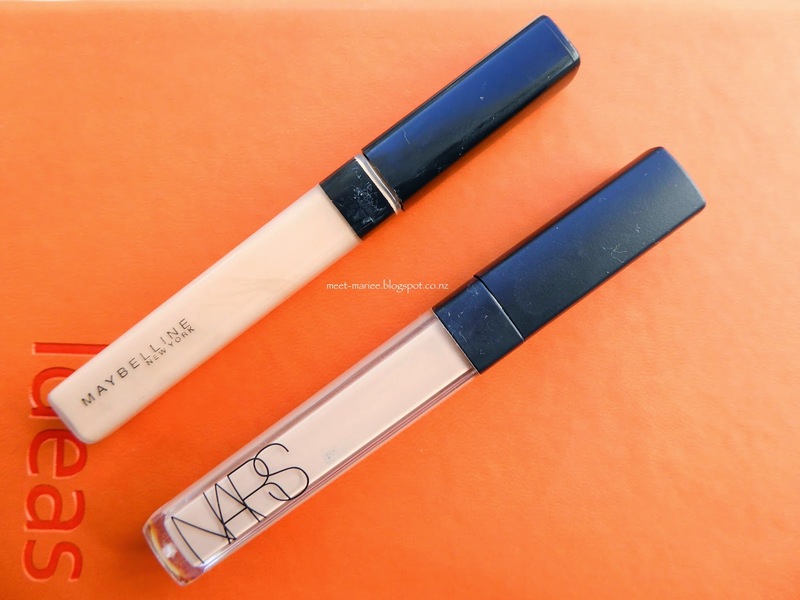 Overall, both of these concealers are great! It is all about personal preference really and if you want to feel a bit spend go for the high end product you like, if you are on a budget go for a product that will work best catering to your needs at an affordable and forgiving price. I hope this post has helped anyone.